A secret recipe, a war, urban legends and 100 million dancing bears. This is how a poor German worker from Bonn created one the most popular sweets in the world. Fast forward two years, and in an attempt to keep up with his competitors, Hans Riegel combined techniques used in candies from turkey and japan (Turkish delights and rice candies) to create his own fruit-flavoured, chewy, gelatin based candy in the shape of a dancing bear (inspired by the ‘dancing’ bears at German festivals and markets). These prove to be a success and the main product for what later proved to be one of the worlds biggest gummy bears brand, Mr.Riegel then had to expand his factory to a 400 workers operation. Unfortunately WWII was a disaster for the company, Mr.Riegel’s sons were taken prisoners by the forced allies and Mr.Riegel himself died by the end of 1945, the company had to cut down to only 30 employees because of this, but fortunately the workers slowly continued producing these gummy bears, and when Mr. Riegel’s sons returned they helped revive the company, opening new factories around Germany, and crushing their competitors. 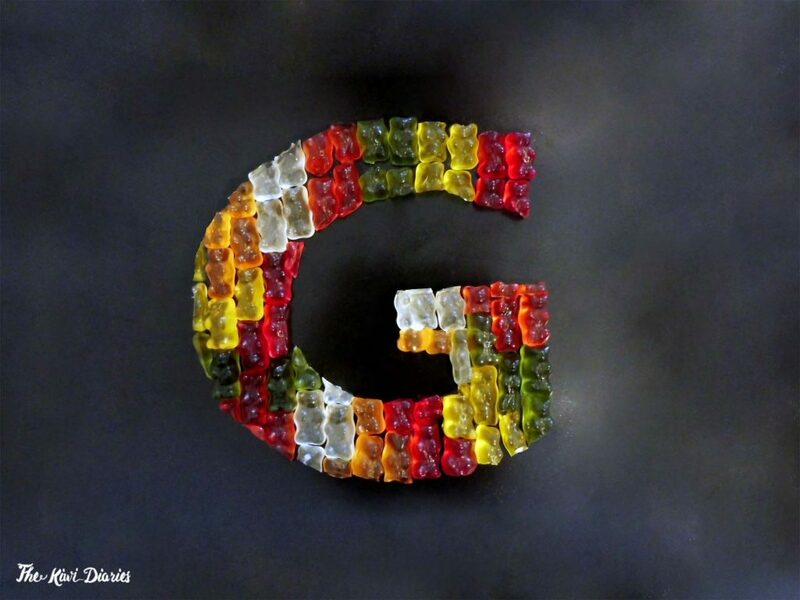 Traditional gummy bears are made from a mixture of sugar, starch, flavouring (or fruit), food colouring, gelatin, glucose syrup and citric acid. However there are different variations of these little gummy candies. Apparently the HARIBO gummy bear recipe it’s still a secret and it’s been told that for years Haribo’s competitors (TROLLI being the most known one) tried unsuccessfully to steal the secret recipe. Nowadays we can find a huge selection of gummy bears, HARIBO’s dancing bears (Tanzbär) eventually became the HARIBO’s ‘Goldbär’ that we know today which is slightly shorter in size, there are sour versions, classic fruit juice versions, different shapes and in Berlin’s Jewish Memorial museum you can find a vending machine with Kosher gummy bears. There’s an urban legend that around 1939 local kids would come to the factory and try to exchange nuts for candy and since 1963 every October kids can take all the acorns and chestnuts they collect to the factory and swap them for an equivalent weight of candy (for 10kg of chesnuts or 5kg of acorn you get 1kg of gummy bears). There is apparently a limit of 50kg of Haribo that you can take with you, and all the nuts collected are taken into parks to feed forest animal. Gill Sans was designed by Eric Gill in 1026 and was the first sans serif type of its kind to be largely distributed. Widely popular since it was released Gill Sans can be seen in th cover of classic Penguin books and it became the main font for LNER railway system.